Photo Credits: (above, left to right) © Jean-Marie Simon, © Jean-Marie Simon, © Misty Keasler, © Jean-Marie Simon, © John D. Willard. UNDREDACTED: Notes from the Evidence Project: "The Echo of Pain of the Many"
UNDREDACTED: Otto Pérez Molina, Guatemalan President-Elect, with "Blood on his hands"
UNDREDACTED: "The Right to Information" Gaining Ground in Latin America? UNREDACTED: "Guilty Verdict and 40 Year Maximum Sentence in Edgar Fernando Garcia Case." UNREDACTED: "I wanted him back Alive." An account of Edgar Fernando Garcia's case from inside "Tribunal Towers." UNREDACTED: "Wrenching Testimony and Historic Sentence." U.S. court convicts Dos Erres perpetrator for lying about role in massacre. 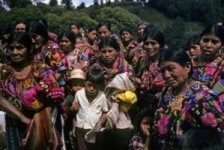 UNREDACTED: "A Personal Account of Testifying at the Guatemala Genocide Trial." Washington, D.C., May 3, 2012 – On April 25, 2012, Kate Doyle, senior analyst and director of the Guatemala Documentation Project at the National Security Archive, provided expert witness testimony before the Inter-American Court of Human Rights in the case of the Diario Militar (Case 12.590, Gudiel Álvarez et al. 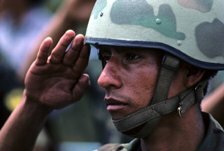 (Diario Militar) vs. Guatemala) during the Court's 45th Extraordinary Session held in Guayaquil, Ecuador. Doyle's prepared testimony was followed by questioning by the Petitioners' legal representatives, and nearly 45 minutes of questioning by the seven judges. The representatives for the State chose to not ask questions. The following text is an excerpt of Doyle's testimony. About the Project - In July 1994, the Guatemalan government and armed rebel groups signed the Human Rights Accord establishing the Historical Clarification Commission. 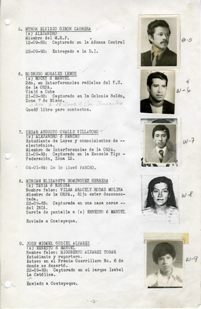 That same month, the National Security Archive began work on a Guatemala Documentation Project, an effort to obtain the release of secret U.S. files on Guatemala. The project's first objective was to support the human rights investigations of the UN-sponsored Historical Clarification Commission, charged with analyzing the origins of the country's brutal 36-year civil conflict. 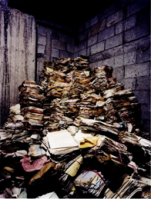 After the commission published its report in 1999, the Archive began working with Guatemalan human rights organizations to mine the U.S. records for use in several pivotal human rights cases. In the years that followed, the project also assisted in the dissemination and analysis of the first records to emerge from Guatemala's secret archives. 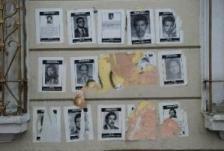 In partnership with several U.S. human rights groups, project director Kate Doyle made public the Guatemalan "death squad dossier" in 1999, a military logbook chronicling the forced disappearance of dozens of citizens in the 1980s. In 2002, Doyle provided evidence and expert testimony in the Myrna Mack trial, which ended with the conviction of a senior military officer for planning and ordering Mack's assassination in 1990. Doyle currently serves as an advisor to the massive recovery effort launched by the Guatemalan human rights prosecutor's office in 2005 to rescue, clean and organize for public access millions of pages of records from the former Guatemalan National Police. 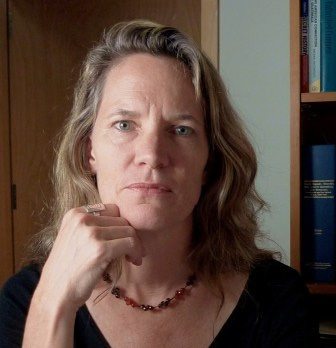 She is also involved as an investigator and analyst in ongoing human rights legal action, including the international genocide case in Spain and the case of the "death squad dossier," currently before the Inter-American Commission. Kate Doyle, Director of the Evidence Project at the National Security Archive, photo courtesy of Skylight Pictures from GRANITO.